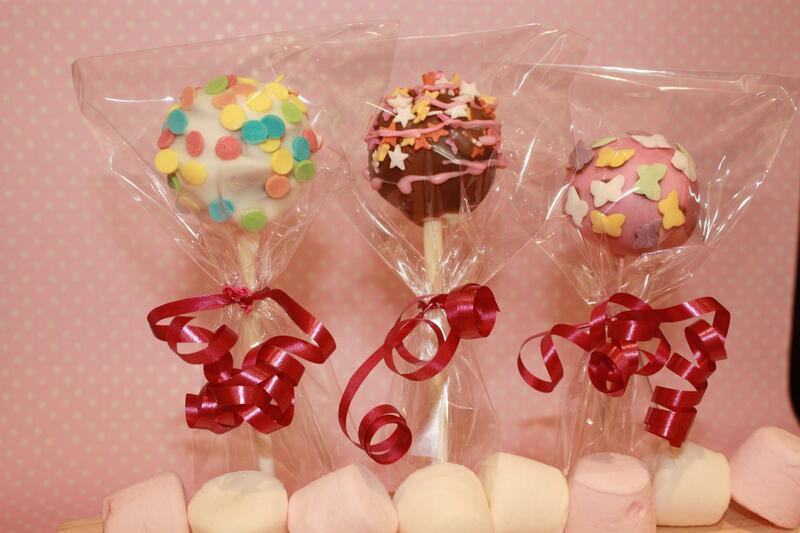 A few months ago I spotted a picture of some glorious looking cake pops in my Twitter stream from a new Plymouth company called Sweet Devotion. When I see things like this I always see an opportunity to champion the gluten free cause, so I sent a Tweet back asking if they had any plans for gluten free options. To my surprise I received a reply from Jane of Sweet Devotion saying that they were already making gluten free options as her husband was gluten intolerant! I’ve been keeping in close contact ever since and have been looking forward to the full launch of the company. 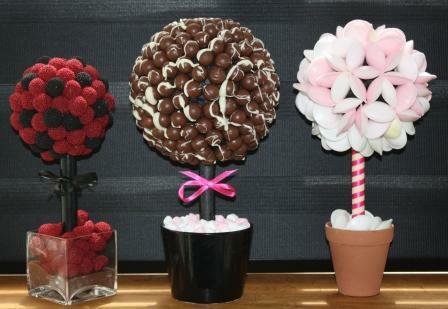 Sweet Devotion primarily offer a range of extremely attractive sweet treats aimed at weddings and parties, such as cake pops, cake push pops and some beautiful topiary. Of course as a coeliac I take the opportunity for good gluten free cake wherever I can get it, and I am also always keen to support a local business. Following a tongue-in-cheek offer I was lucky enough to be able to taste a sample of the gluten free cake pops. I have to say I really enjoyed these, and the dense chocolate cake covered in white chocolate was really satisfying. I have to confess I demolished both in one sitting. I also passed one on to a coeliac friend who also said they were lovely. I was impressed enough that as soon as local orders became possible I ordered some cake push pops to try. Being able to choose both the cake flavour and the frosting flavour was great and I went for red velvet with vanilla frosting, and lemon with lemon curd (I LOVE lemon dessert!). While the push pop mechanism was not something I really needed while eating at home, the presentation was exceptional. I offered my wife one and she declined as she was trying to have a healthy week following our London trip. However she did accept a bite of the red velvet cake. This was followed by a smile and the words “oh my god!” and her demolishing the rest of the push pop in about 5 seconds. Abby said this was the best gluten free cake she had tasted so far and I was equally excited when I tried it. It was good to have something a bit different to the usual gluten free offerings and I concur with my wife’s opinion. The layering of cake and frosting made this really moist and delicious. The lemon was equally good, though the red velvet was so good I may now be a convert! Sweet Devotion were kind enough to give me a sample hot chocolate stirrer with my order and I really enjoyed this too. I am probably behind the times but this was a new thing for me and I really enjoyed it. The hot chocolate had a lovely flavour and it was really nice not to have all the lumps and sediment that you can get from a powdered variety. 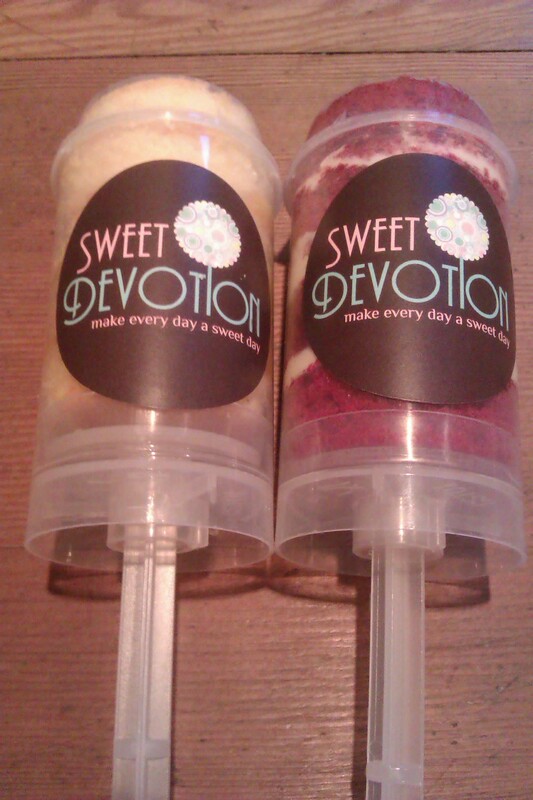 The good news is you can now buy these treats UK wide from the Sweeet Devotion website. Overall I’ve been really impressed with the quality of the products, though from a personal point of view it may be nice to see a more everyday shape option too. Having said that, it is possible that could lead me to getting very fat indeed! 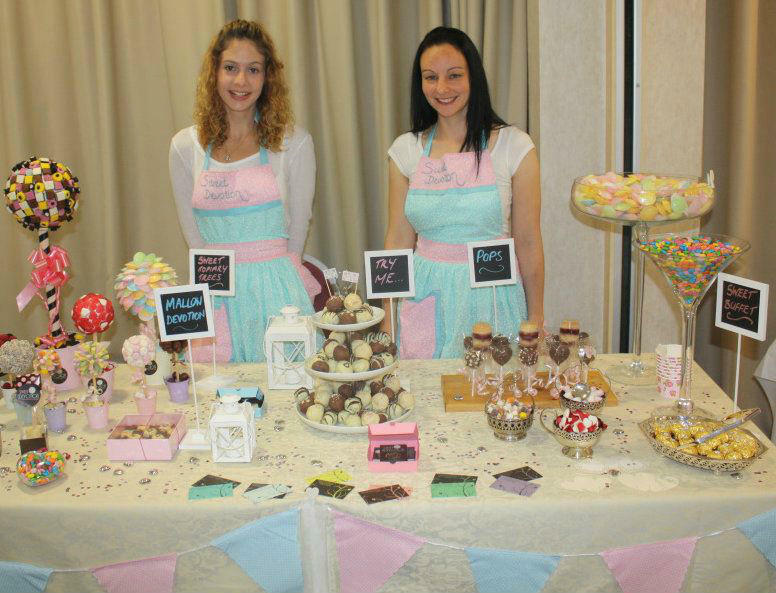 I have now met Jane and Kat who are behind Sweet Devotion a couple of times, they are lovely ladies and I wish them every success with their new venture. Sweet Devotion also produce gluten containing versions of their products, so take care to make sure you pick the gluten free versions when ordering. 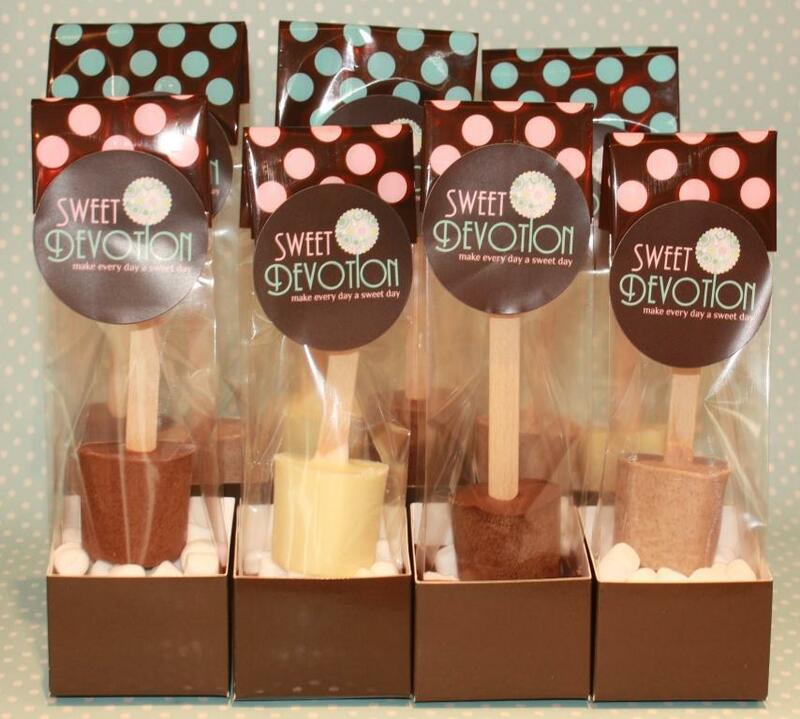 Thanks also to Sweet Devotion for letting me use some of their Facebook and Twitter images. 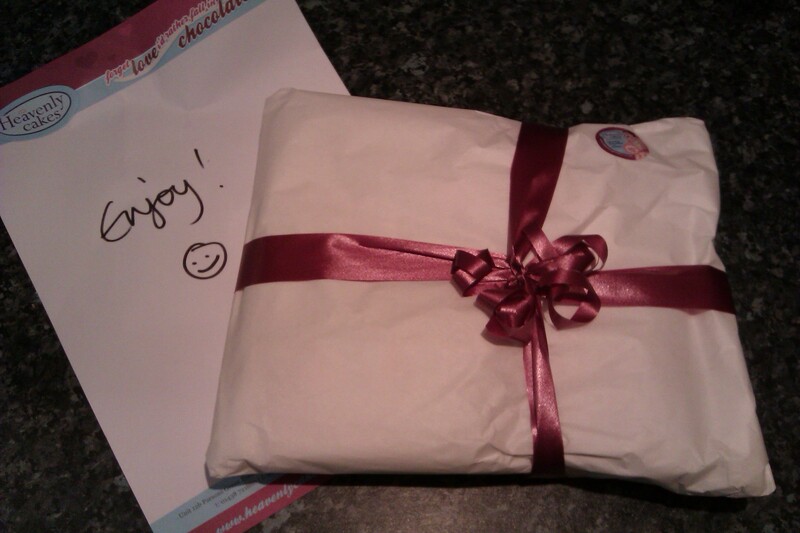 I just wanted to say a quick thank you to Betty Bakes Heavenly Cakes. 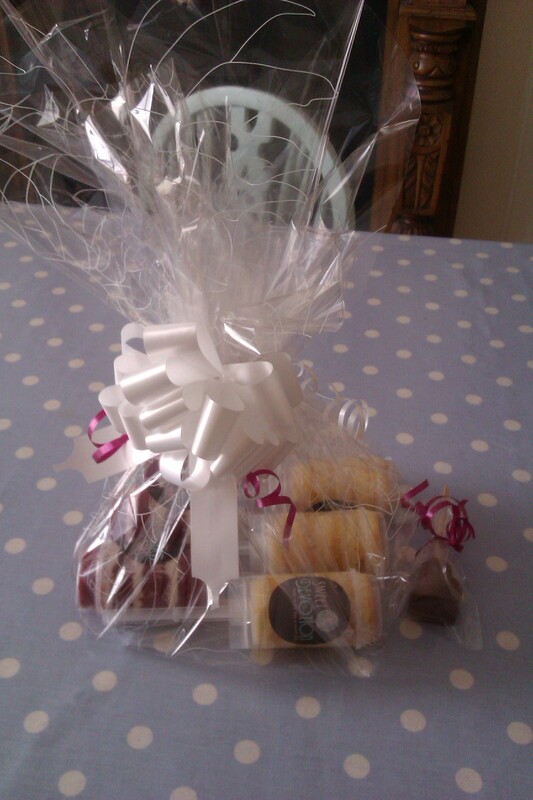 I just won a selection of their wonderful gluten free cakes after entering a competion on their Facebook page. 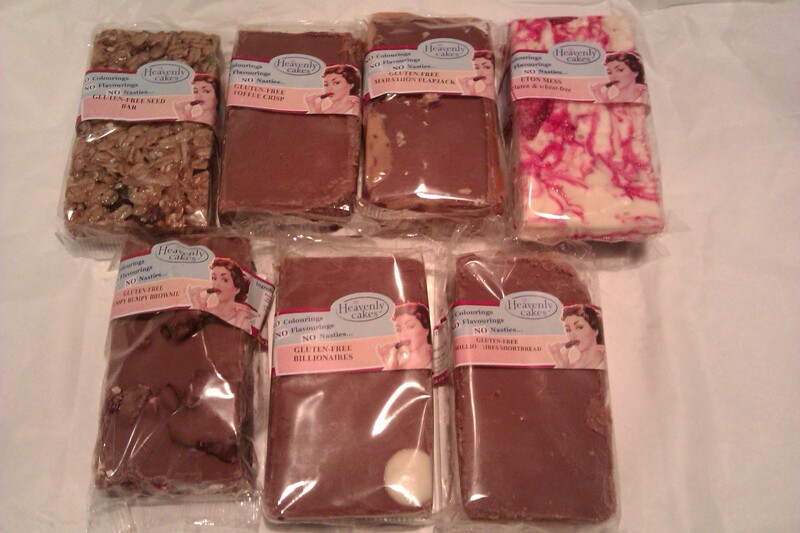 I was lucky enough to be sent a few samples of these indulgent cakes during my early coeliac days, and I enjoyed them so much I treated myself to an order for my birthday back in April. I’ve been tucking in over the last couple of days and they are just as delicious as I remember. I’m not going to do a full review, as there are some recent ones from a couple of my gluten free blogger friends that already say it all really. Suffice to say that I agree whole heartedly with both reviews. Hop on over to Gluten Free South West and The Happy Coeliac to read more on how yummy these treats are. I’ve got a couple of other cake related posts in the pipleline, this time with more of a Plymouth angle. Keep an eye on Gluten Free by the Sea over the next few weeks for more.